Kleinfeld’s favorite bridal accessory designer is having a clearance sale!! JMC SALE! 💙 Justine M Couture (Kleinfeld New York and Kleinfeld Canada’s favorite and best selling accessory and veil designer!) is making room for their latest Spring Collection and has some beautiful pieces on sale online at their "Bespoke Shop". But don’t wait too long - sale ends April 30! With a bold cutout design, very classic yellow gold coloring, and a center stone with pave diamonds radiating out in a sweet star, this engagement [or wedding!] ring has pizazz! BHLDN [Anthropologie’s bridal division] does it again! Proposal Tips and Trends by Prime Style Jewelry or Getting Him to Propose! In case you are not where you want to be yet with your honey, the jewelry experts at Prime Style have some great advice: Five Ways to Get Him to Propose! Sometimes, getting a man to propose is one of the most challenging feats ever. It’s not that he doesn’t love you, but that he may just be clueless about what it is that you want. Men are wired differently than women are, so he may be contented with your relationship as it is while you’re daydreaming about a forever family. 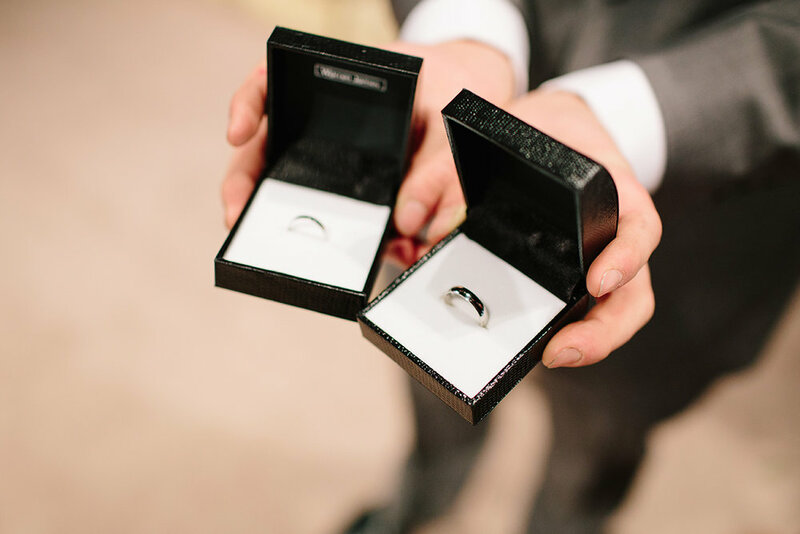 Here are five tips for getting him to propose to you. Try them, and see if they take him closer to popping the question. Something about meeting your mate’s family will bring you closer together. Suggest having dinner at his parents’ house if you’ve never met them before. A “meet the parents” meal is sort of a gateway to a proposal because it’s as intimate as you can get with him. If his parents like you, he will be more likely to propose. Get your family involved, as well. Talk about your beau, and let them know that you’re interested in having them meet him. Take the opportunity to get deeper with him, and let him into your childhood. Your relationship will reach a whole new level at that time. Probing him doesn’t mean jabbing him with an alien analytic device. It just means that you should pick his brain a bit and bring up marriage during something relevant, like a romantic movie. Interject during the most romantic part of the movie, and say something to drop a hint. You can be blatant if you want as well. “I wish that were us” may work for you if you say it at just the right time. Nothing says “I’m ready for you to propose to me” like some glistening, affordable wedding ring sets. You’ll have to take him window-shopping for this trick to work. Take him out to your favorite mall, and then stop by the jeweler so he can get a good, close look at what you want. Try a ring on if you want to be a bit bolder, and drop a “How do I look in this?” line. Sure, it may sound like you’re proposing to him, but you're not. You're just helping to increase his awareness of your desire to wed. You’re just giving him a little hint as to what to do next. He can still give you an amazing experience when he asks for your lovely hand. Finally, if all else fails, just tell him outright that you’re thinking about marriage. The most important thing in a relationship, whether or not it’s a marriage, is honesty. When you’re expressing your most candid thoughts on the subject, you may discover if you’re envisioning the same thing for your future. Sometimes, the conversation may reveal some differences in your outlook and personalities, but knowing those early on will help you decide if you can strike a compromise at all and how you can settle these differences. A serious conversation about marriage may be unpleasant, heavy, and intense at times, but knowing your partner’s real thoughts is worth the discomfort, as you don’t want your marriage to be written off as a regrettable decision later on. Those are just a few good ways that you can introduce the idea of a possible marriage to your man. Try all those on the list. If they don’t work, you’ll be able to think of some additional creative ones. Do you believe in the power of the earth, the strength of intention, and the beauty of art? Well look no further then, for you have found your next jewelry obsession! Handcrafted Gems offers a collection of handcrafted rings to bring joy, healing, and power to the lives of others. Their gems are carefully sourced and thoughtfully collected and their designs speak of the raw power of nature and magic! Artist Olivia Rose creates gorgeous, unique and soulful raw stone jewelry infused with stories of healing, wellness, and health. She thoughtfully collects stones like Blue Apatite (the stone for deep spiritual and dream work), Rose Quartz (the stone of the heart and love!) , Moonstone (mysterious and powerful stone of the inward journey), Aquamarine (the stone of the sea, inspiring truth, purity and safety), Turquoise (the stone of the sky and talisman of both shamans and warriors) and more and blends them with settings that enhance the rawness of the stones to create something magical and beautiful to adorn your hand - and give that left hand ring finger something natural and exciting to rave about. The Opal Blossom necklace by BHLDN really ticks all boxes for a bride's ultimate necklace on her wedding day: it's unique, it's sparkly, it's memorable with a hint of 'something blue' and it is a knockout! Checkout more of their bridal collection online or at the San Diego Anthropologie BHLDN location in The Forum Carlsbad. Bridal jewelry adds just the right enhancement to your wedding day bridal style. But if you're wearing a vintage gown or something non-conventional for your bridal attire (or something rather plain that needs a little life added to it) consider exciting and memorable unconventional jewelry by the incredible Vintage Jewelry Lounge. Paper Face Studio has a beautiful way to keep your secrets safe and in style. These beautiful hidden compartment necklaces offer a special place to say "I love you", write love notes, or just keep something close to your heart. These necklaces by Paper Face Studio have a special vintage feel that makes them very in style now and forever. If you are in love with vintage style and are planning a wedding with a mid century feel to it you'll love these 1950s and 1960s era acrylic jewelry by Vintage Jewelry Lounge. Clear acrylic jewelry ads just the right pop of fun and style without overwhelming the rest of your bridal ensemble. We love this acrylic bubble necklace for any strapless or open neckline, mid century bridal gown. Acrylic bracelets, bangles and earrings add a fun touch acrylic can be perfectly clear or can have a hint of metallic to spice up your look. Carolyn DeKoven, owner of Vintage Jewelry Lounge, really knows her vintage style and has an inventory of vintage jewelry that is truly comprehensive! Check out her vintage jewelry but remember to grab a piece if you love it because these one-of-a-kind treasures go fast! A very creative jewelry company has designed a meaningful and personal way to wear your love. The Encode Ring takes spoken three-second phrases (the perfect amount of time to say "I love you" or "I do") and captures them into sound waves that are then transformed into a custom-crafted metal ring. Your sound waves will appear different depending on the words you say and the inflection of your voice; ensuring that each ring is wholly unique and meaningful for you and your intended. With its unique sound wave shape this ring is sure to elicit a lot of comments and compliments and is the perfect way to say “I love you” in an beautiful and unique way. Amazing designer Kendra Scott is opening a boutique in Fashion Valley. Join this talented and popular jewelry artist this Saturday, October 1 for a soft opening party. Inspired by the charm of the past, these rose gold romantic engagement rings by Brilliant Earth are heirlooms in the making. Brilliant Earth uses recycled metals for a more sustainable line of jewelry. Dirty gold mining has a history of civil war, labor abuses, and environmental devastation. Metal mining, and gold mining in particular, is one of the most environmentally destructive types of mining and millions of gold miners earn low wages in dangerous working conditions. Every piece they cast is made with recycled and re-refined precious metals. Because their reclaimed silver, gold, platinum, and palladium are refined back into their pure elements, they are of identical quality to newly mined metals. Brilliant Earth's recycled precious metals have been independently certified by SCS Global Services to guarantee their recycled content. We are one of the first jewelers to elect to have SCS audit our supply chain to ensure the metals we use meet the standards for recycled content. Whether through delicate, Victorian-inspired filigree designs, the bold individuality of Art Deco styles, or the larger-than-life dazzle popular in the Retro era, each unique style in a vintage-inspired collection is a beautiful choice. When you’re dedicated to what you love, time becomes irrelevant...introducing becomb. Founder and Designer Levi Maestro says "Growing up, the only “jewelry" I ever felt comfortable wearing was a watch. It was the one item that I put on to feel dressed up as opposed to utilizing it for function because I always got impatient with how long it took me to register what the actual time was. When it occurred to me one day to create my own version of a watch, I knew I would prefer the piece aesthetically if it had no parts or markings. I took into consideration how much money our world spends on jewelry that for the majority has no significant meaning. I combined my love for minimalism with my love for symbolism and the Infinity Piece was created to serve as a reminder that when you’re dedicated to what you love, time becomes irrelevant." don't worry ladies becomb has you covered too! We love it and think this hot style of 'not a watch' jewelry will soon be the talk of the town! Tee pees, 3 generations of beautiful Native American women, gorgeous handmade fashions, cool decor and, wait for it.... live wolves. What more could you possibly want out of a fashion editorial shoot!? We are so very proud to bring you Native American Beauty an exclusive SanDiegoWedding.com / #lovetotallyplanlocally editorial styled shoot. What if history had been different and we all now lived with the beauty and gravity and meaning of Native American artwork woven into our everyday aesthetic and fashion? With full respect and honor to all tribes we present our exclusive styled shoot "Native American Beauty". Three generations of beautiful Native American women and our beautiful wolf models (who are of course 100% pure blood Native American)! 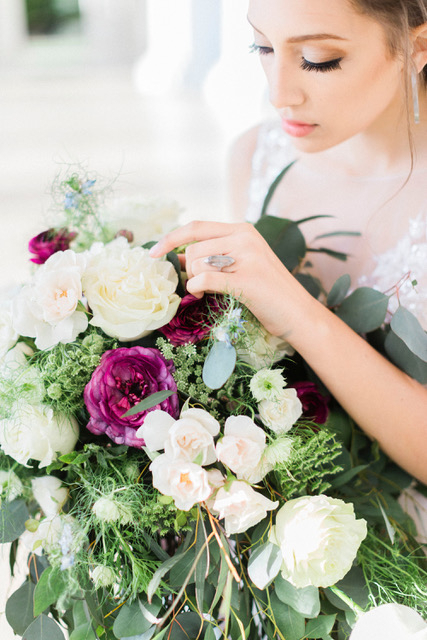 We asked one of our favorite photography team, Suzanne and Mike Ofeldt of SheWanders, to capture this shoot's richness and soul as only they could. See the complete shoot here with all credits. See the complete shoot here with all credits. The classic style of Burberry checks brings a sharp and elegant edge to these beautiful gold cufflinks perfect for the groom or groomsman! You're going to swoon over these absolutely beautiful vintage French velvet ring boxes made by The Mrs. Box ... Obsession warning! !